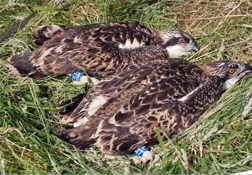 Friends of the Ospreys, would like to thank Tony Cross, from mid wales ringers, for ringing the 2013 chicks The chicks 7R and 8R, on the day of the ringing. 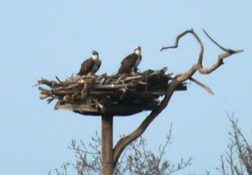 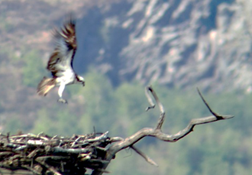 A 2010 female, from the Rutland Osprey Project, blue 24, spent most of the summer in this nest, but unfortunately the male in the picture did not stay for more that a couple of days, so lets hope that she returns next spring with a mate. 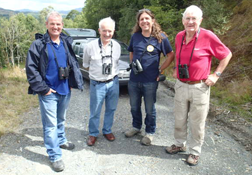 Darren, and Steve with Roy Dennis MBE, and Rodger Lovegrove, we took Roy and Rodger, around some of the local nests, we saw 9 different birds, so with more encouragement from Roy, we will be building a few more nests in the coming months.